The nature around is very picturesque, and clean. Lots of lakes and small villages. We found a free skating ring nearby. Host-couple are great local people. Very trusting and open communications and handling of things. Price was cheap (75e per room for two). Everything was clean, albeit simple. Warm family hotel atmosphere, clean rooms and a nice breakfast. Очень приветливые хозяева, во всем помогали, предложили воспользоваться сауной. В номере есть холодильник и микроволновка, это очень актуально, учитывая, что никаких ресторанчиков поблизости нет. Чайник можно взять на ресепшене. Isäntä oli sopivasti ystävällisen puhelias niin vastaanotossa kuin aamiaisellakin, joka oli pienimuotoinen mutta hyvin riittävä. 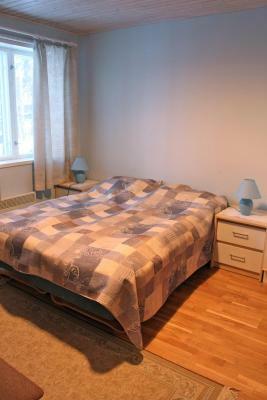 Gasthaus Punkaharju This rating is a reflection of how the property compares to the industry standard when it comes to price, facilities and services available. It's based on a self-evaluation by the property. Use this rating to help choose your stay! 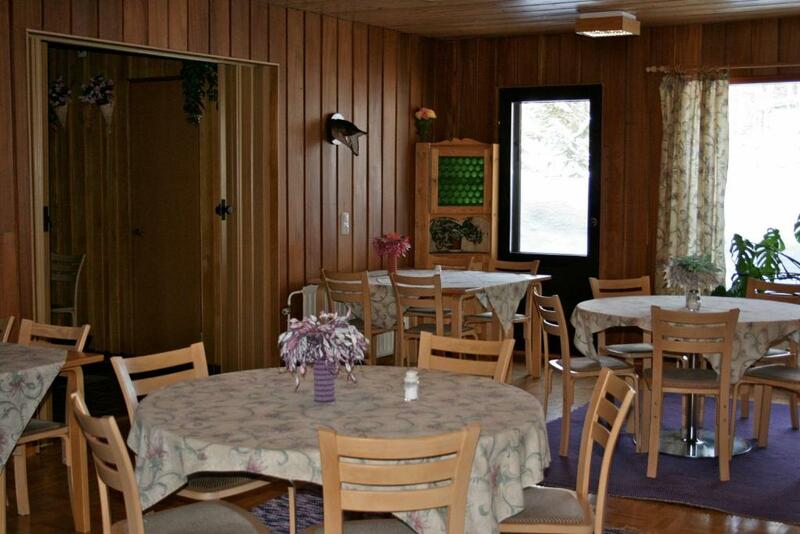 This guest house is located in the picturesque Punkaharju district, 650 feet from a beach and marina, and offers on-site relaxation options which include a sauna and indoor pool. 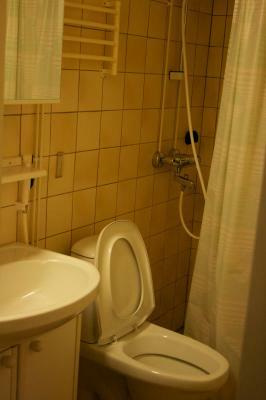 The simply furnished guest rooms at Gasthaus Punkaharju feature a toilet,shower and TV. 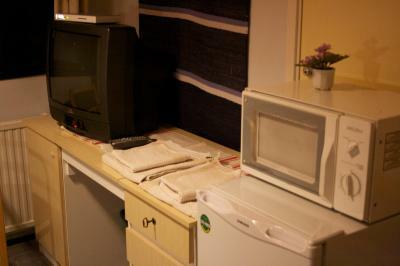 Some rooms also have a refrigerator and microwave. 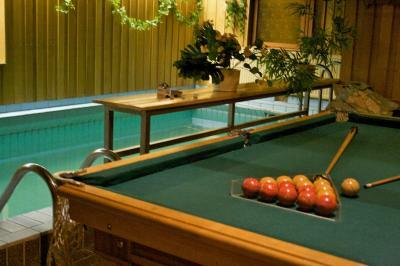 Leisure facilities at Punkaharju Gasthaus include a large garden, a pool table and bicycle rentals. In addition, the surrounding area offers excellent skiing and hiking opportunities. Free private parking places are found at the guest house. Local busses stop only 350 feet away. 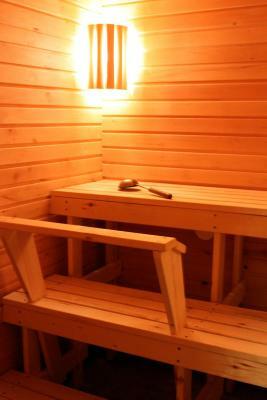 Attractions such as the Kesämaa Adventure Park and the Finnish Forest Museum are 5 mi from the hotel. 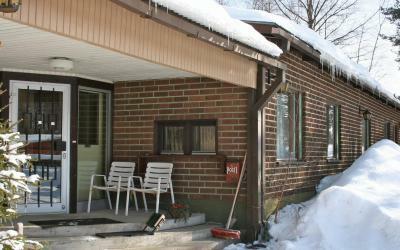 When would you like to stay at Gasthaus Punkaharju? 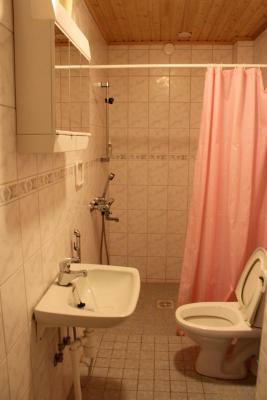 Includes a TV, desk and bathroom with shower. A fridge and microwave are also provided. House Rules Gasthaus Punkaharju takes special requests – add in the next step! 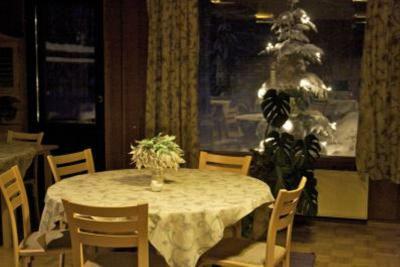 Guests arriving after 20:00 are requested to contact Gasthaus Punkaharju in advance. Contact details are provided in the booking confirmation. 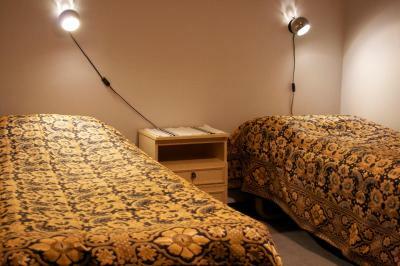 We booked a room for 2 adults with extra bed for 15 y.o. boy. Then my elder son decided to come with us, so I had made a phone call to the owner of this property, but he did not speak English. Then (later, same day) I called to his wife, and told her - we are four touriststs instead of pre- paid 3. She had assured me that they will arrange an extra bed in a bigger room that they definitely have. I asked how much will it cost for us, and she replyed: "..not much, I think". So , we did not cancel or change the booking. Upon arrival, I found no one at the rception, but keys from 2 rooms were there with my name (not one room as promised). Room #9 was very noisy due to heating pump exaust air flow. There was "some WiFi", but at a very low speed...... But the most shocked we were at check- out: the English - speaking lady was still somewhere, while the owner had given me a bill for 120 Euro. So, total sum was 320 Euro. Actually I was expecting them to keep their phone promises. We have made our choice because of 200 Euro budget for 3 persons. And one extra person should not cost over 70 Euro. The 50 Euro difference is not much, but this was the end of our trip, and we were short in cash. While it is impossible to pay by bank card there. So, I had to borrow extra money from a friend of mine, who was (fortunately) nearby. For me and my family, this is not a "Fair play", 120 Euro is not a sum that can be called "not much" for this kind of deal: for 320 Euro we could rent a stand-alone cottage with sauna in this region! Everything looked like it was from 70'ies, which was kind of cute in its own way. No design, just small rooms - worked for a night though. Only cash, no cards worked.